Steele Roberts, 2010. 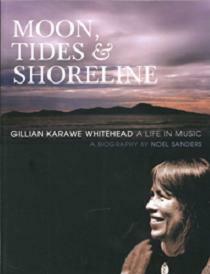 One of Aotearoa New Zealand's most distinguished classical composers, Gillian Whitehead has produced a substantial and lasting body of work that includes operas, orchestral and choral pieces, vocal and instrumental chamber compositions and solo works. They are often in collaboration with poets and other artists, and many incorporate traditional Maori musical instruments and themes. Gillian has spent many years studying and working abroad, including a period as head of composition at the Sydney Conservatorium of Music. She has won the SOUNZ Contemporary Award three times, and in 2000 became one of the inaugural laureates of the NZ Arts Foundation. In 2008 she was made a Distinguished Companion of the NZ Order of Merit, becoming a Dame in 2009. Gillian lives on the Otago Peninsula, devoting herself to composition.